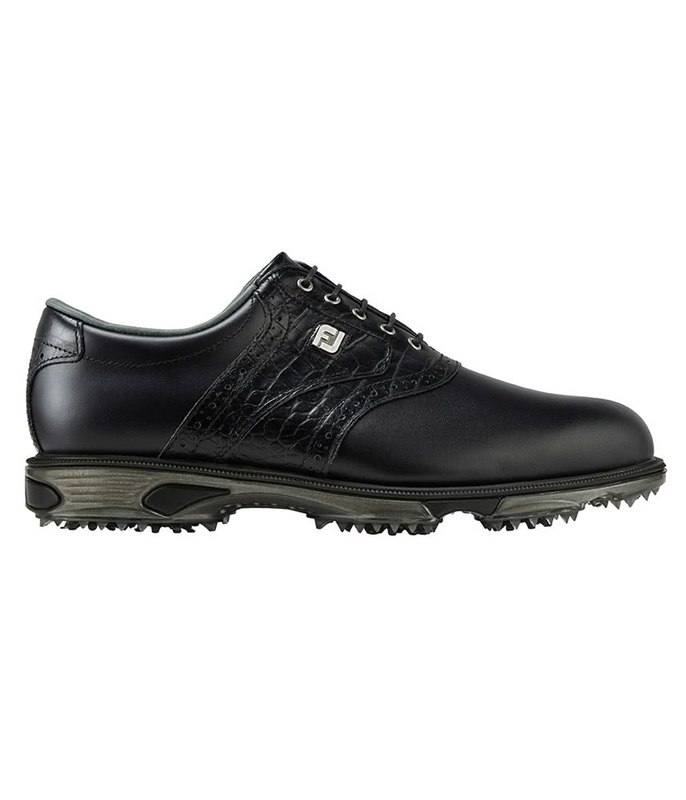 I have wide feet - measuring 9 or 9.5 and usually have to take an 11 in golf shoes for comfort. 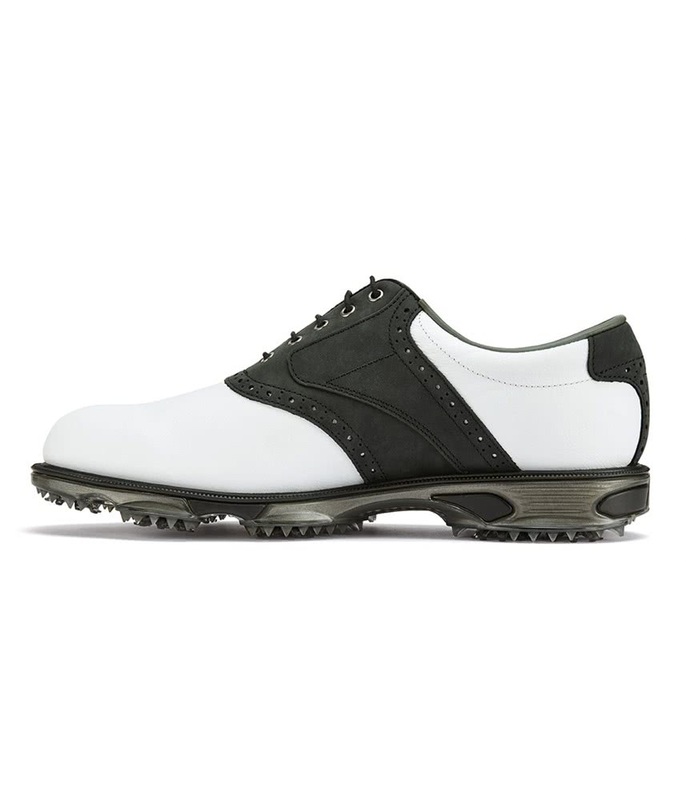 These were wide enough to allow me to take a 9.5 and are very comfortable. 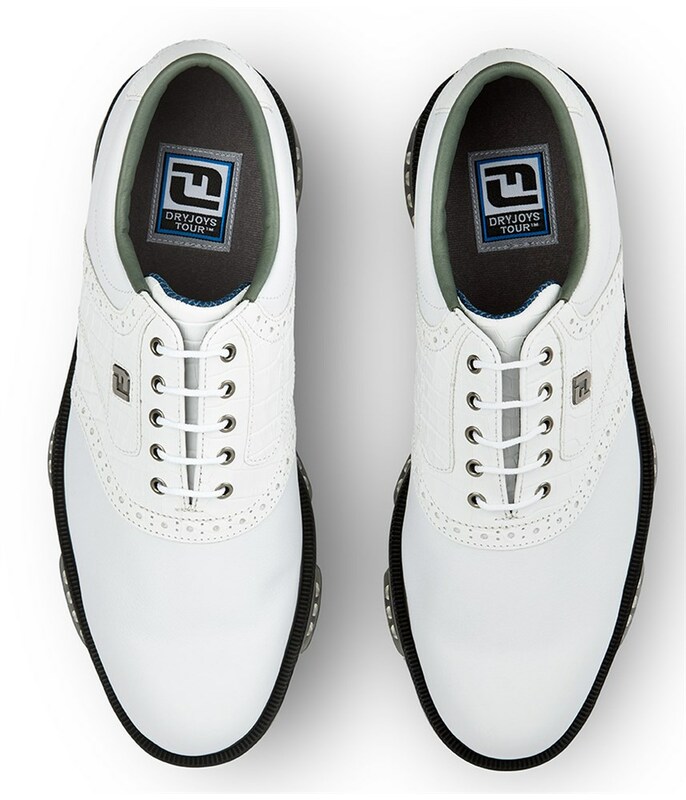 Les chaussures que j'attendais. 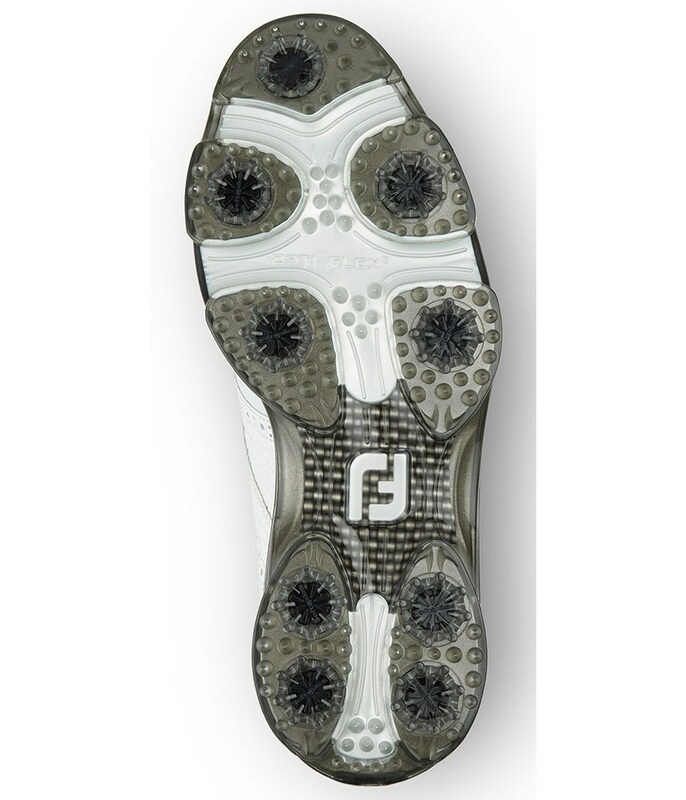 Confortables, maintiennent bien le pied. 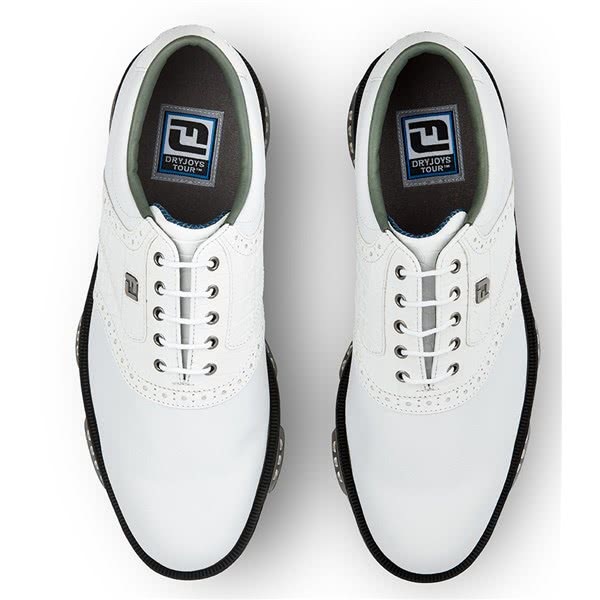 Un look super. 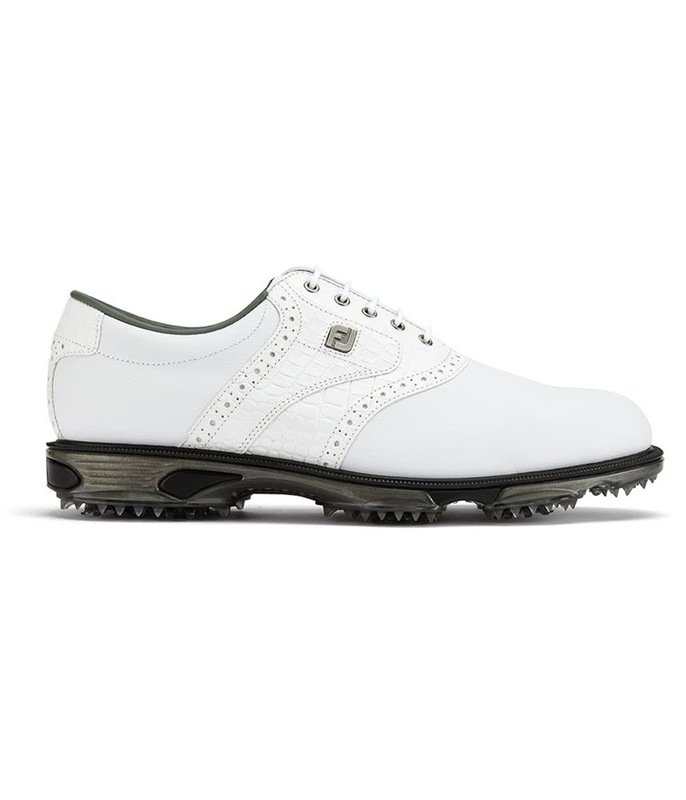 Having gone with FJ for my last 10 or so pairs of shoes, I am more and more impressed with their comfort and playability. 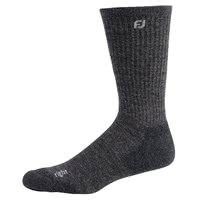 Tried a pair of Adidas prior to these and had to return them due to blisters. 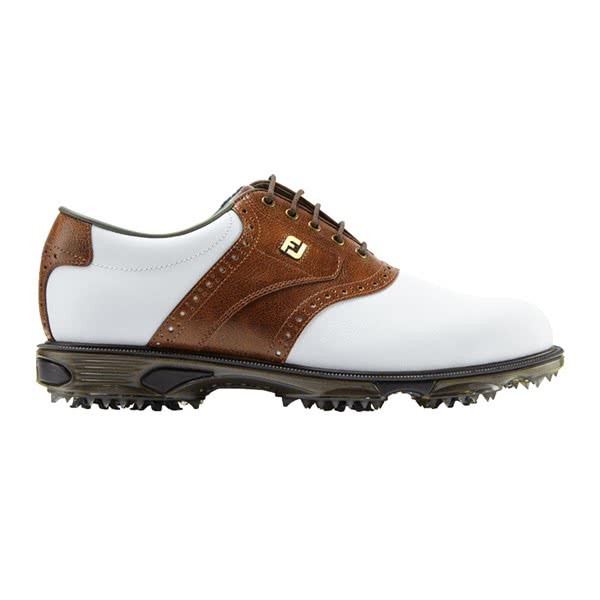 No such issue with FJ and for the same money they can not be compared. 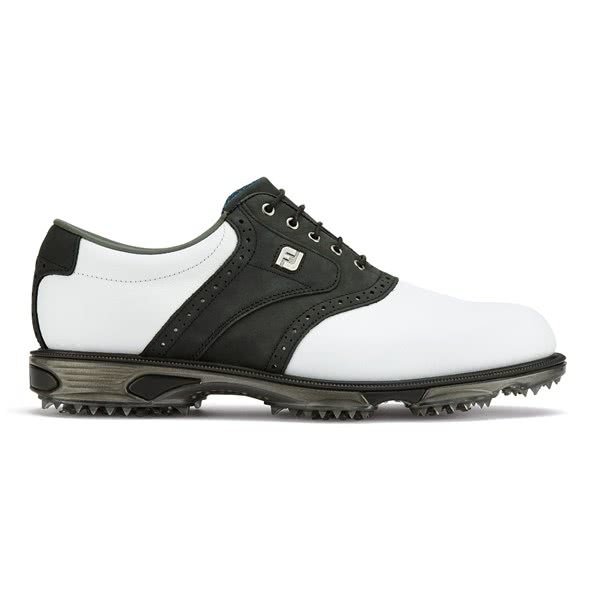 So comfortable that you don't know you've got them on whilst playing course. 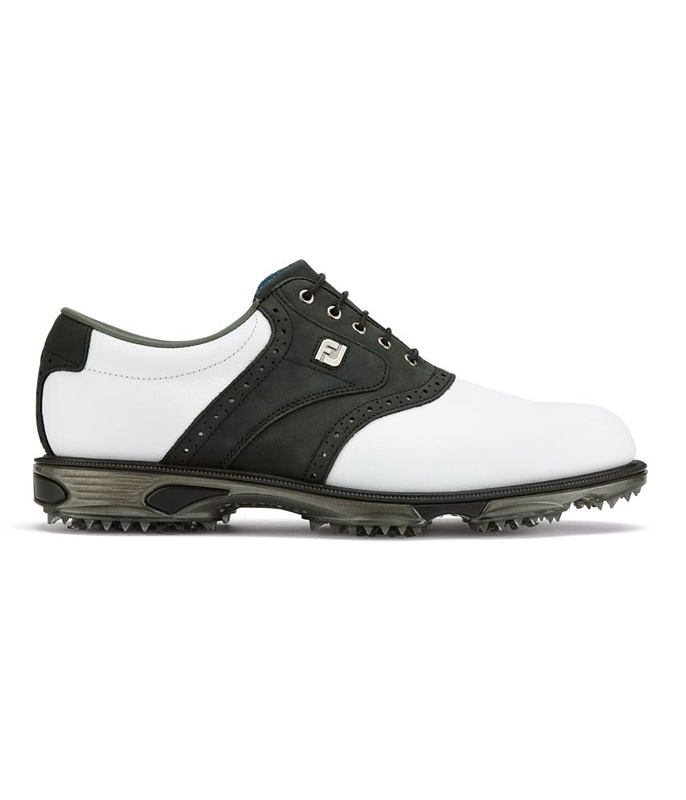 Sizing Guide The FootJoy DryJoys Tour Golf Shoe for 2018 combines the traditional style of this classic design with the innovative stability PODS technology that will increase traction, stability and comfort. As usual with the DryJoys golf shoe it has been crafted from a premium leather that delivers a luxurious feel with enhanced fit. 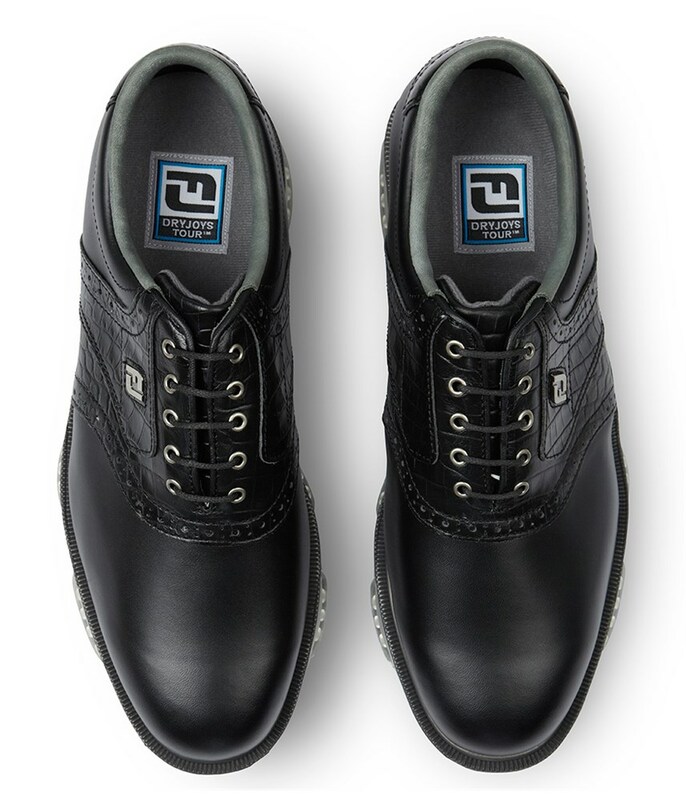 The leather is called ChromeSkin and it is developed by Pittards of England, it is supple, lightweight, durable and totally waterproof. 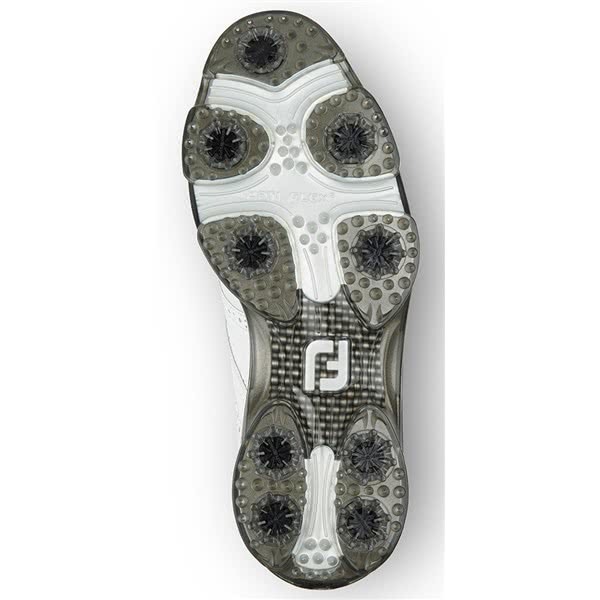 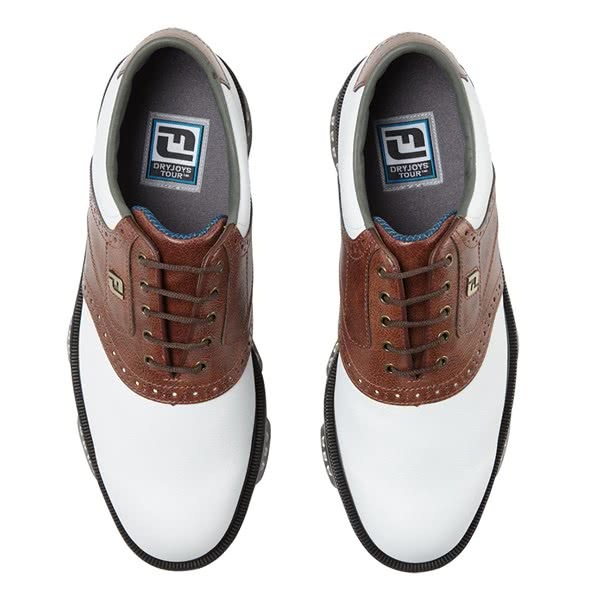 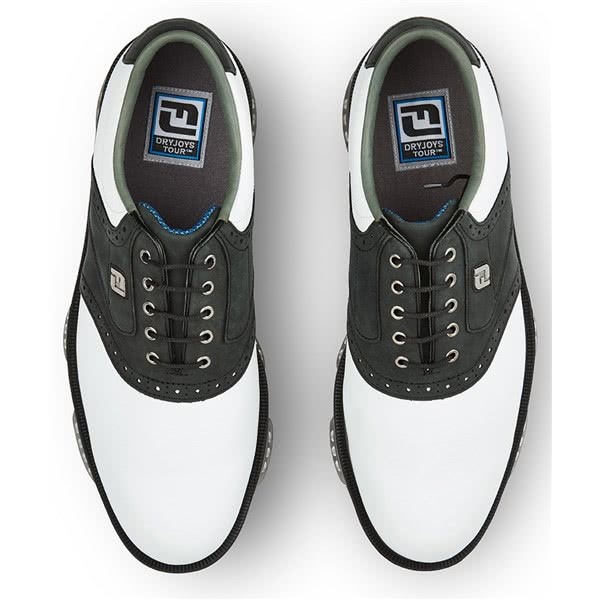 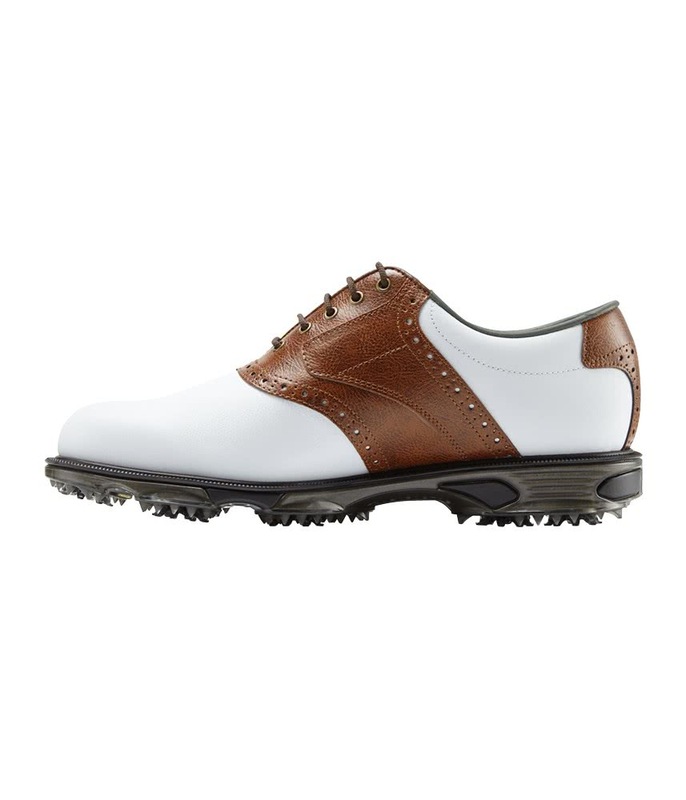 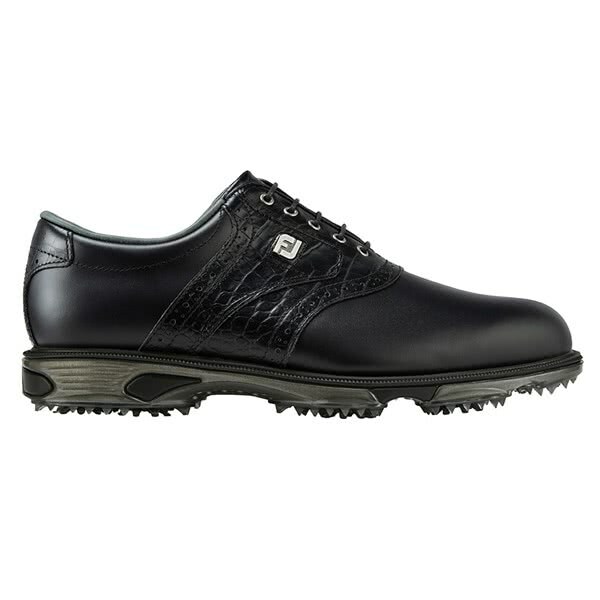 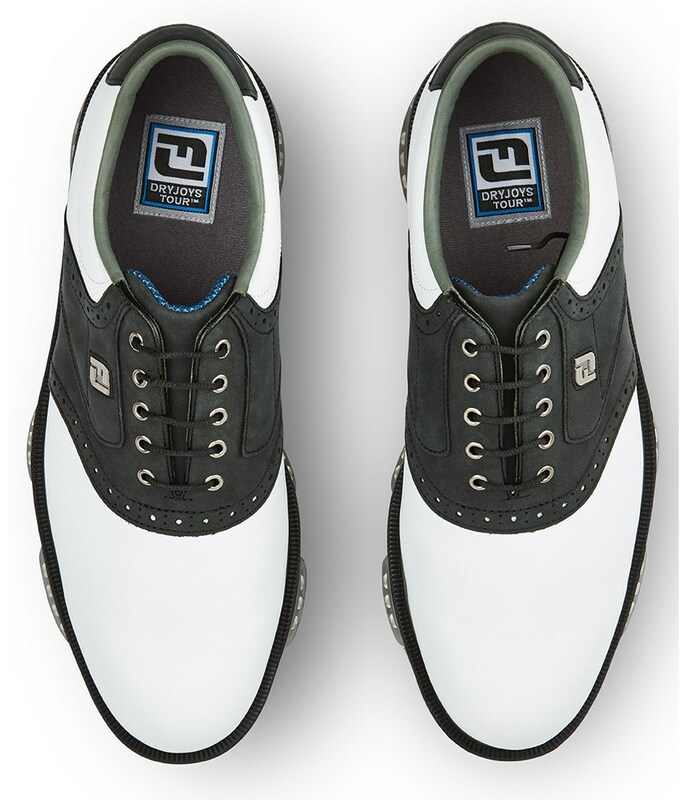 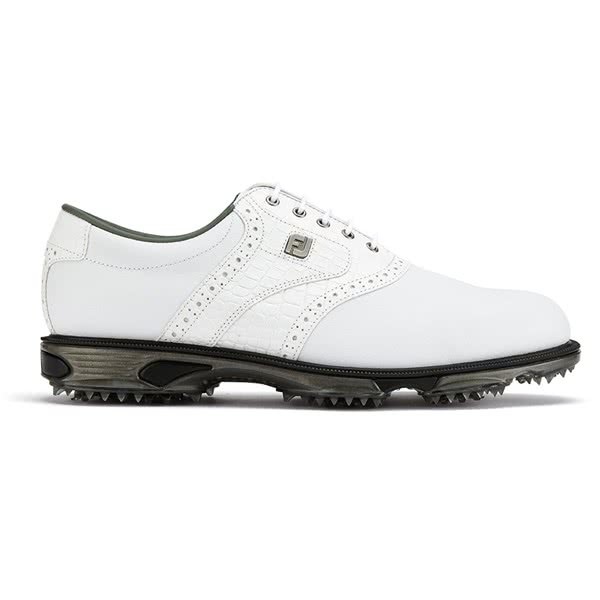 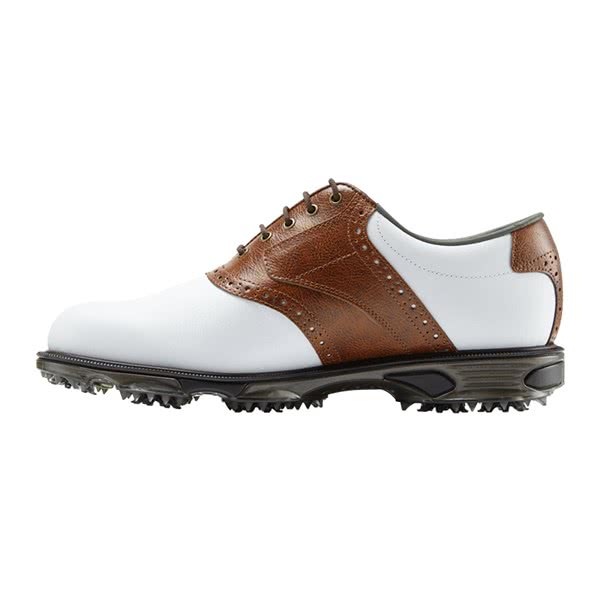 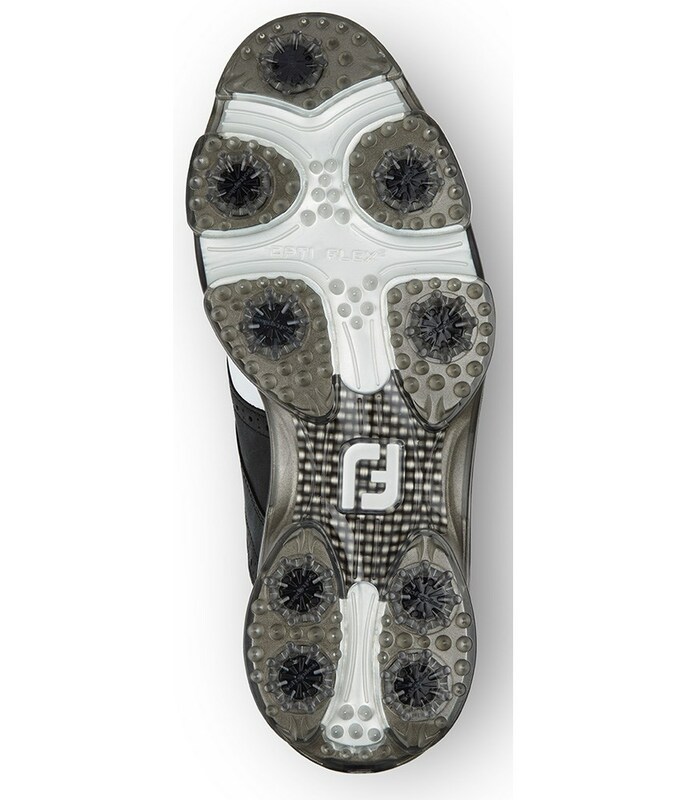 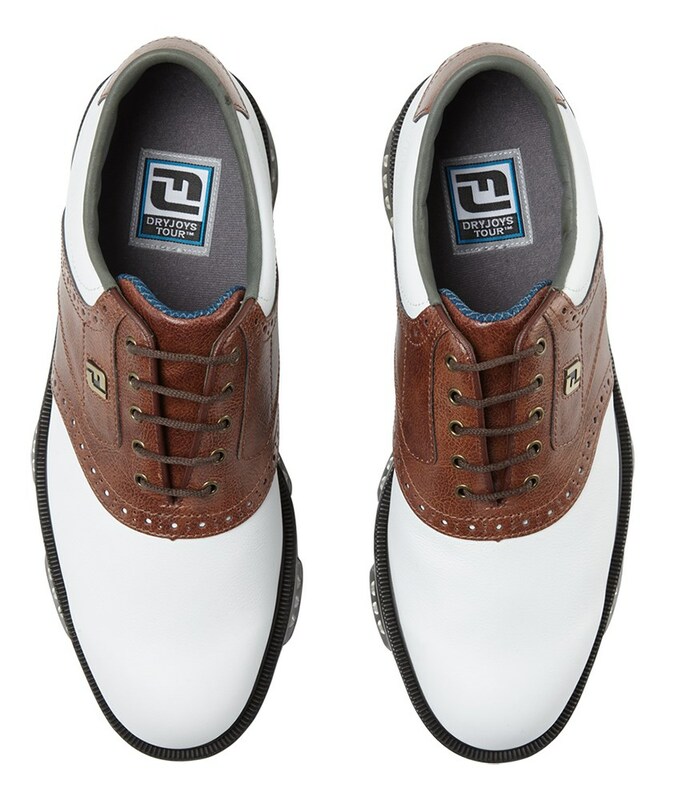 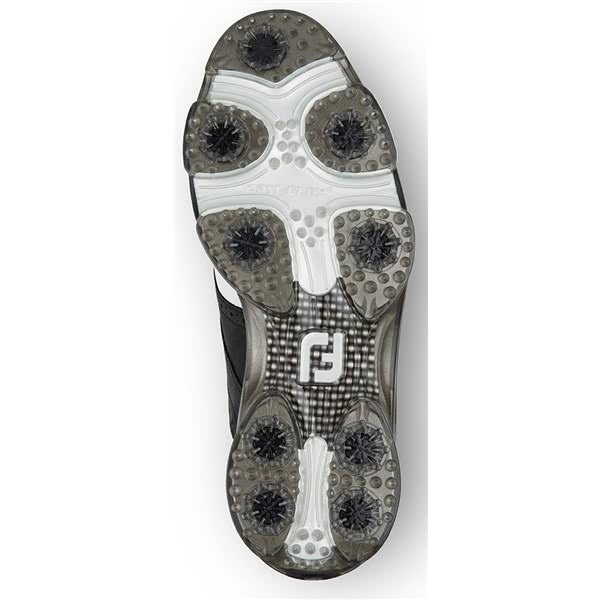 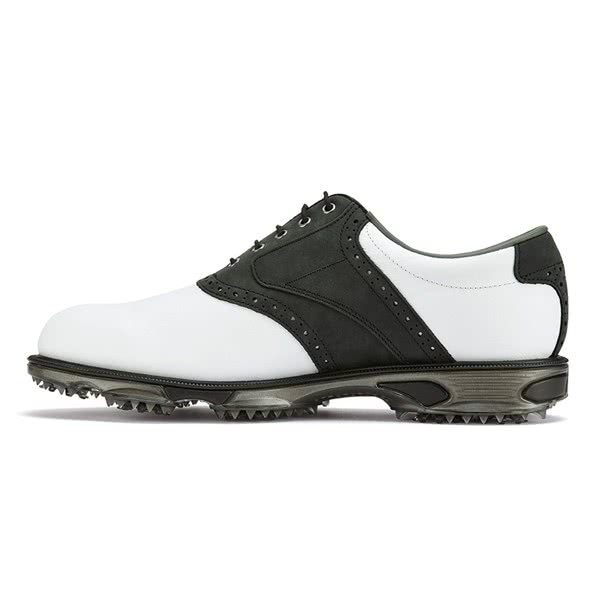 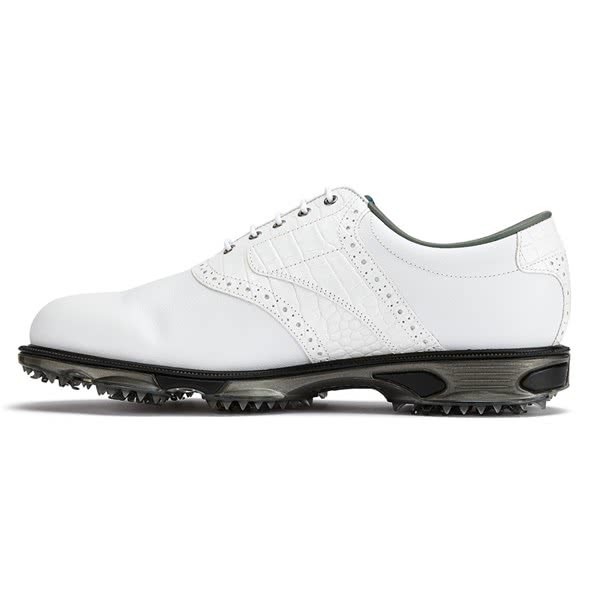 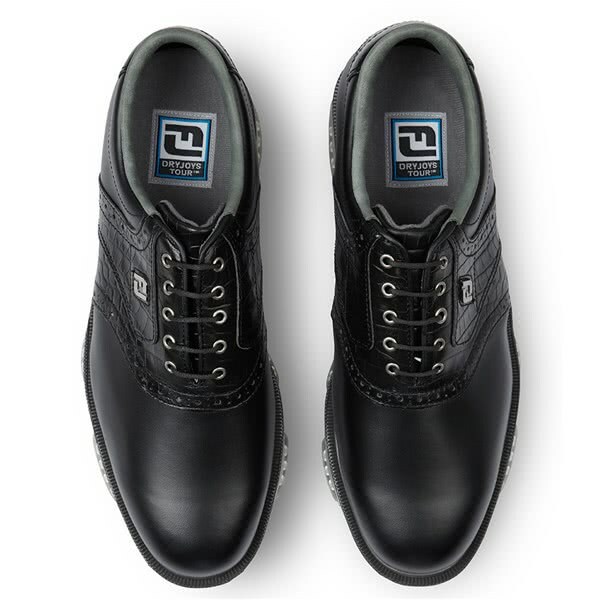 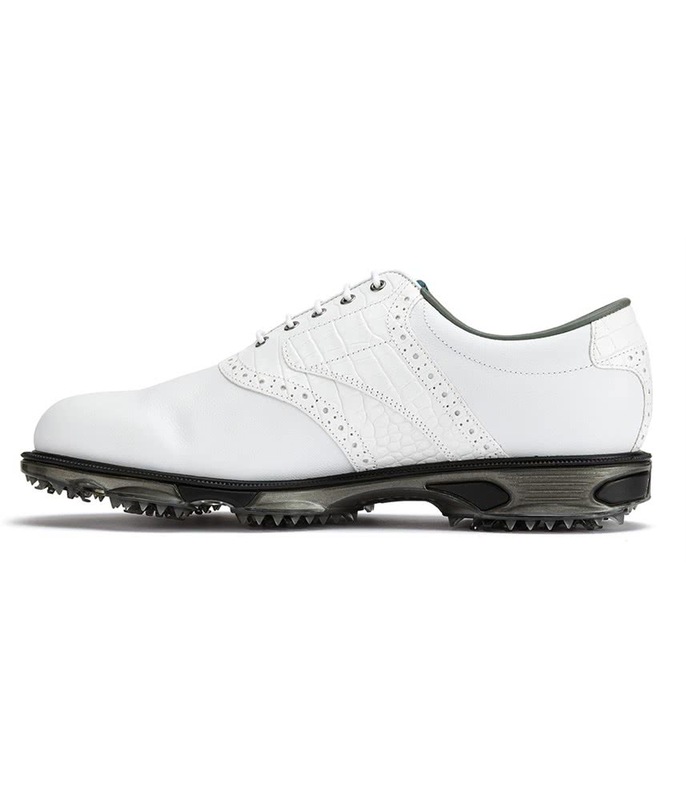 FootJoy have used a durable and stable midsole and outsole design that will provide a stable hitting platform. 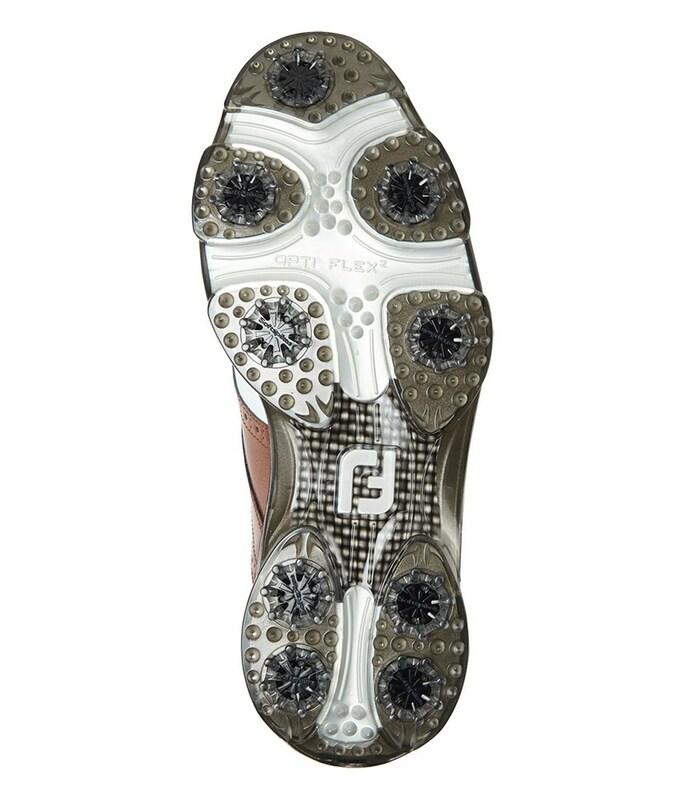 The use of their Stability PODS and Fast Twist Cleat System ensures that you will get the maximum levels of grip, traction and stability on all underfoot conditions.